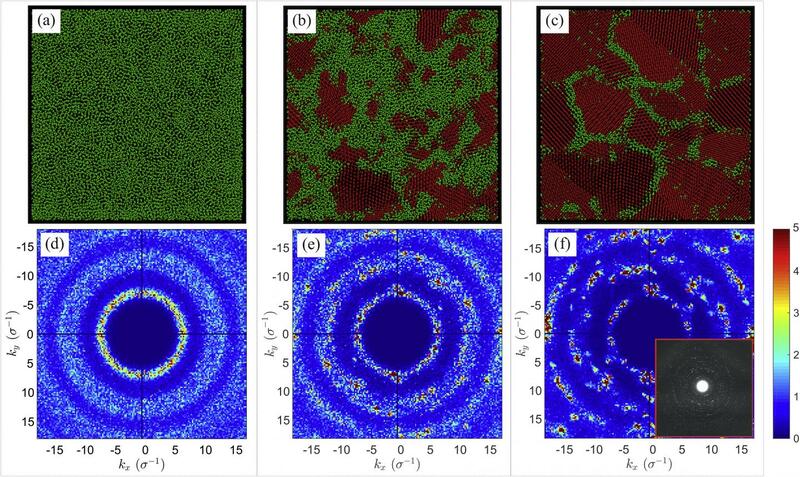 In this particular paper, Dr. Mokshin’s group studied the influence of supercooling on the structure and morphology of the crystalline nuclei arising and growing within a liquid metallic film. It was found that the liquid metallic film at the temperatures corresponded to low supercooling levels crystallizes into a monocrystal, whereas a polycrystalline structure forms at deep supercooling levels. The temperature dependence of critical size of the crystalline nuclei contains two distinguishable regimes with the crossover temperature, which appears due to the specific geometry of the system.